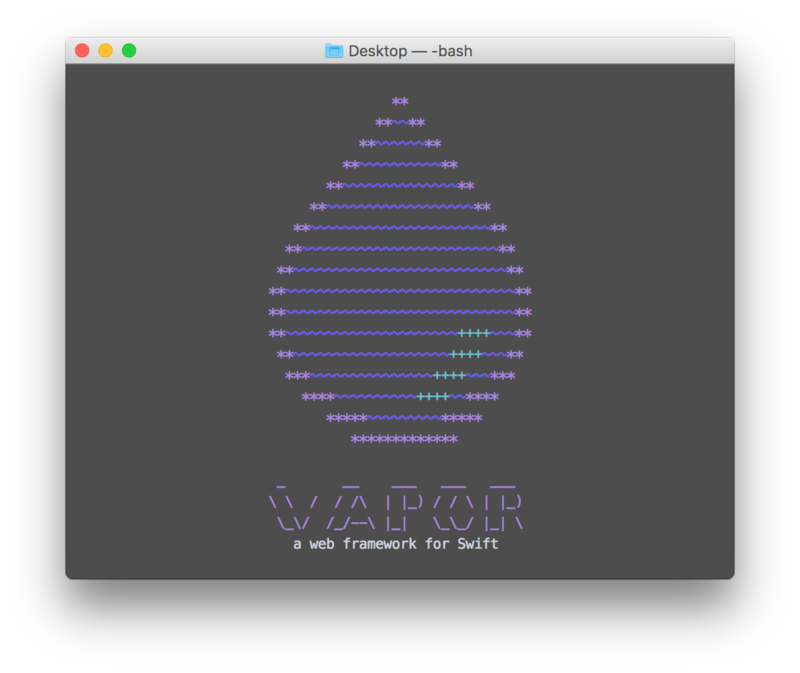 Vapor's command line interface provides shortcuts and assistance for common tasks. If you do not want to use the Toolbox or templates, checkout the Manual quickstart. Help prints useful information about available commands and flags. You can also run the --help option on any Toolbox command. The vapor run command is a special toolbox command that forwards to your Vapor application. Once you've built your application with vapor build you can use vapor run serve to boot your application, or vapor run help to view all available application-level commands. This includes custom commands you may have added to your application. Using vapor run --help will provide information about the run command itself and will not forward to your Vapor application. The toolbox should be updated by the package manager it was installed with. The toolbox can create a project from the Vapor basic-template or any other git repo. API --template=api JSON API with Fluent database. Web --template=web HTML website with Leaf templates. View a list of all templates on GitHub. If you do not specify a template option, the API template will be used. This may change in the future. The toolbox will build an absolute URL based on what you pass as the template option. --template=http://example.com/repo-path clones the full url given. --branch=foo can be used to specify a branch besides master.